What Are a Grandparent's Rights After Death of Child? The death of an adult child can be devastating. As parents, we don't expect our children to precede us in death. If you are a grandparent, you may face a double loss — the loss of a child and a loss of contact with grandchildren. It's important for grandparents to know about their rights and how they are affected by the death of an adult child. Grandparents of a adult child who passed away while married will have to rely upon the surviving spouse for access to grandchildren. That person may or may not wish to maintain ties with the grandparents. Of course, it is best if the grandparents have had a cordial relationship with the surviving spouse. Even in such cases, the surviving parent may find contact with the grandparents to be painful, as it may intensify the loss. In addition, as time passes, the surviving parent may remarry or find a new partner. New partners sometimes oppose the maintenance of old relationships, especially relationships with the parents of a deceased former partner. Be as positive and upbeat as possible. 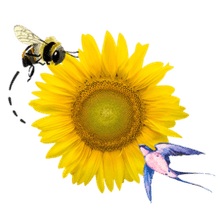 If the surviving spouse is struggling to get on with life, being in the presence of bereaved parents can be difficult. It's okay to grieve, but do so in private as much as possible. Avoid demonstrations of grief in front of the grandchildren. Certainly it is okay to talk about their deceased parent, but don't let that be your sole interaction with them. Children, even grieving children, need play and laughter. Do try to be helpful. The surviving spouse may welcome assistance with child care, school drop-offs and pick-ups, doctor appointments and the myriad of other tasks that a single parent must juggle. You can enjoy contact with your grandchildren and help out the parent, too. It is perhaps most important for grandparents not to be a nuisance. They should not call or text constantly or beg for visits, or their calls or texts may be ignored. The bereaved parent does not need another person who is constantly requiring attention. Grandparents whose child who passed away while separated or divorced face a more complex situation. If the separation was not amicable, the surviving parent may oppose the grandparents having contact with the children. Grandparents will have the best chance of maintaining contact if they have been an active supporter of the grandchildren and their activities. Those who have been helping babysitting or child care may be able to continue the arrangement. Those denied contact with grandchildren do have legal recourse. Generally speaking, the courts are amenable to awarding visitation to grandparents who are the parents of a deceased parent, since they represent half of the heritage of the children. Still, state laws govern grandparent visitation, and some states are more permissive than others. In every state, however, the courts must consider the best interests of the child. Grandparents will have the best chances in court if they previously had a close relationship with grandchildren and if they have been completely cut off from them rather than having contact merely reduced. When grandparents lose their child who was the custodial parent of their grandchildren, they often long to bring up their grandchildren. 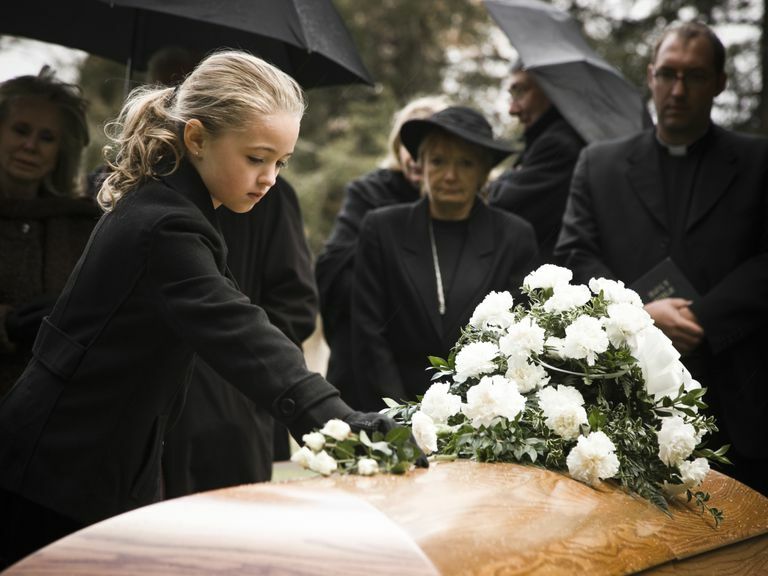 Grandparents are sometimes awarded custody of grandchildren after the death of a parent. If the surviving parent is absent or uninvolved, grandparents are often considered the next logical placement for children. Sometimes the surviving spouse is not in a position to take in the children immediately and may let grandparents take them on a temporary basis. Grandparents in this situation run the risk of heartache if the parent reclaims the children. On the other hand, grandparents who take their grandchildren in on an interim basis sometimes find themselves with the permanent job of raising their grandchildren. Grandparents should be prepared for either outcome if they take grandchildren into their home. Grandparents who are bringing up grandchildren, even on a temporary basis, should know about the different legal forms of custody and what paperwork is needed for each type. At the very least, they will need medical and educational consent forms. Grandparents who feel that the surviving spouse is an unfit parent may be tempted to seek permanent custody. They should know that the legal definition of an unfit parent may be different from a layman's definition. They should realize that the law has a strong prejudice in favor of parents. Custody battles with a parent are almost always lengthy, expensive and emotionally draining. Grandparents whose child suffered a long illness culminating in death have had a longer time to contemplate the future of their relationship with your grandchildren. Grandparents dealing with the serious illness of a child are certain to be emotionally fraught, and probably overworked as well. Still, it is a good idea for them to document their relationship with grandchildren. They should make a record of the services provided for grandchildren, experiences shared with them and money spent on them. This is one way of safeguarding your visitation rights, and it can also be valuable information for those grandparents who eventually find themselves in a custody fight. If the death of an adult child was unexpected, grandparents may not have this type of documentation. Still, a vigorous pre-existing relationship with grandchildren is the strongest argument for a continuing relationship with them. That's a good reason for all grandparents to stay involved in the lives of their grandchildren. Sometimes it's easy to let a Sunday go by without a phone call, or to stay in one's easy chair instead of going to a grandchild's ball game. Instead, grandparents should pick up the phone and get out of the chair. Certainly the odds are against grandparents ever having to fight for the right to see grandchildren. But if it happens to you, you will want to have every advantage on your side.